Control. Jealousy. Isolation. Blame. Anger. Violence. The inspiring true story of a young woman who suffered a terrifyingly abusive relationship culminating in a horrific acid attack from the man who claimed to love her. Adele was just 23 years old when she was scarred for life by an acid attack arranged by her ex-boyfriend, Anthony. The attack left her partially bald and she lost her right ear. This was Anthony's attempt to stop her from ever being attractive to another man - a final act of 'control' over her and the horrific end to a terrifying case of domestic abuse. The acid attack came after she had ended her relationship of several years with Anthony Riley, the man who said he couldn't live without her. Anthony Riley was convicted in October 2015 and was sentenced to a minimum of 13 years in prison. 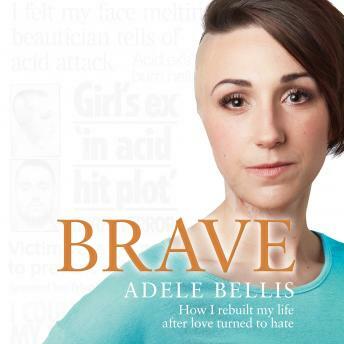 This is Adele's brave story, the story of one woman's incredible fight to recover from the most appalling injuries and to decide that she would not be controlled, she would be strong.